Mrs. Plumpert�s prized pot pie has gone missing and it�s now a chicken chase to crack the case! Move around the board to gather clues and then use the special evidence scanner to rule out suspects. You�ll have to work together quickly because the guilty fox is high-tailing it towards the exit! Will you halt the hungry hooligan before it flies the coop� or will you be Outfoxed? 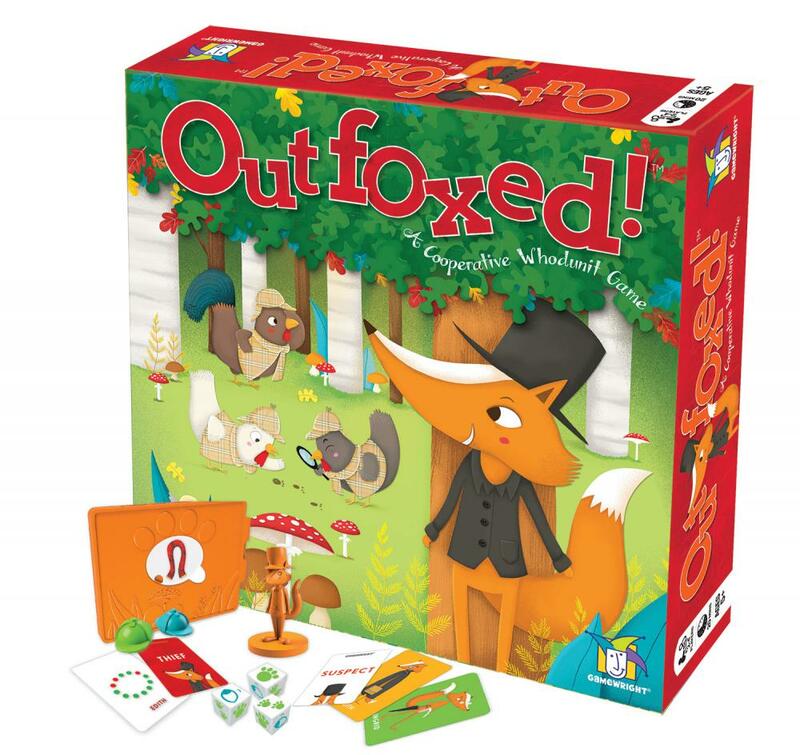 They�ve always been a fan of both cooperative games and deduction games, so it was little surprise that they fell for Outfoxed! The team at Department Recreation created a game that deftly combines both elements into a wonderful venue for honing deductive reasoning in a non-competitive environment. As you work together to try and nab the guilty fox, you�ll learn some valuable skills such as estimating probability and paying attention to details, as well as the important role that collaboration plays towards problem-solving. Happy sleuthing!